Happy 8th Birthday to us! Wow, what a year it has been. 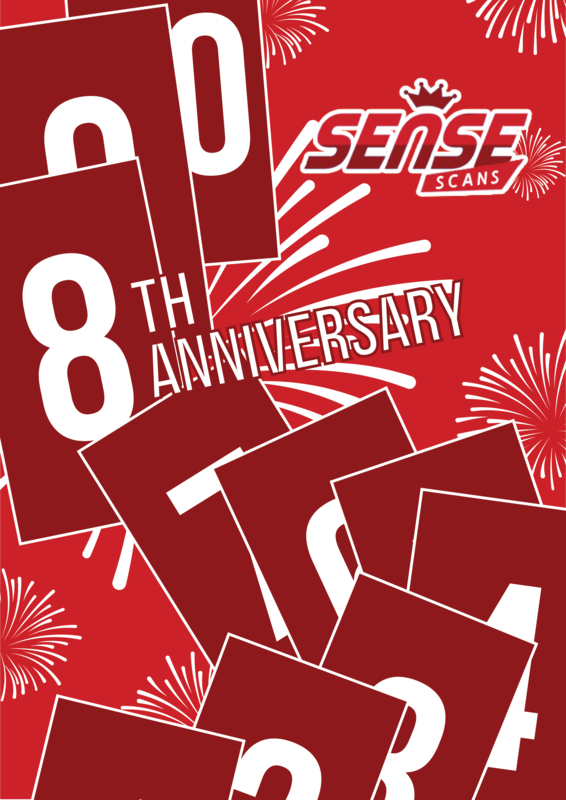 First, I want to thank the Sense Scans team that have stuck around with me for so long, working though numerous sleepless nights to continue to pump chapters of mangas out continuously all for the sake of sharing their enjoyment of the series with every reader. While some people may not necessarily agree, I believe this is the true spirit of scanlation and for that in itself, I thank you and hope that we can continue to do our best in this coming year! Secondly, I want to thank the joint groups Turnip Farmers and Jaiminis Box for working with us in this past year through our hiatus, delays, and also for going along with my selfish request in delaying the respective releases slightly for this celebration. Finally, I want to thank every reader who have continued to support our releases every week, month, or year. It is only with your encouragement, support, and most of all, patience that we have stuck around for so long, and I hope you will continue to read our releases for the years to come. Hurrah and thank you for this awesome work! A thousand thanks and congratulations! Congratulations dudes. Thank you all for your work. To my favorite odd couple, Sense-Scans and Turnip Farmers, Happy Anniversary!!! Thank you Sense-Scans and Turnip Farmers!!! First I would like to congratulate you for having doing translations for the last eight years ! It's thanks to you that I was able to enjoy Kingdom, To You The Immortal, Magi or Ao no Orchestra more recently. I would like to thank you again for Kingdom, To You The Immortal and Ao no Orchestra last released chapters. I was waiting for them but I completely understand what you wanted to do ! They were really good ! Thank you guys! For everything you guys have done for us! Happy Anniversary! Happy Anniversary and thank you for all the hard works. I'll wait for download links to be up to read.